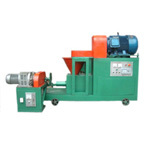 Anyang GEMCO Energy Machinery Co., Ltd (a division of ABC Machinery) is one of the leading Chinese manufacturers of briquette presses. High quality, best service. Welcome to GEMCO!